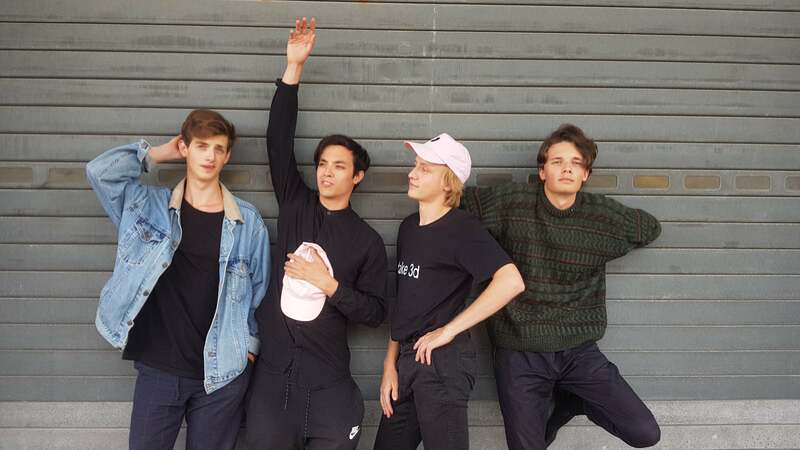 The Sokpop collective, made up of game developers Tijmen, Tom, Aran and Rubna from the Netherlands, started calling themselves a boy band as a joke, but they didn’t start it. “It was something people joked about at events,” Tijmen told Kotaku, “mainly because of our looks.” Even if it’s kind of a joke, their cute games are set to capture your heart, and send your teenage girls screaming for their autographs. Sokpop releases two games per month, funded by their Patreon, and they’re all seriously adorable. Simmiland is a tiny simulation game, where you use a deck of cards to add resources or change the weather. Brume manages to make the Dark Souls approach to ultra-hard adventure games feel whimsical. Their games feel wholesome, like something you remembered playing as a kid when the whole world was full of wonder. Part of how they accomplish that is through silliness, as seen in the way they make their characters walk. In most of their games, they make their characters’ limbs flail wildly, which Tijmen said can lead to some silly situations. “For the people that play the games it can be a lot of fun to just mess around with that, like making your character do a little dance!” Tijmen said. “Kart Kids was, at some point, supposed to have multiple race tracks, but that got cut down to a single race track. The way we decide this is by sitting together every week and talking about the things we make,” Tijmen said. Now that the boy band gimmick has caught on, Sokpop has given some thought as to who fits what traditional boy band roles. Tom is the “quiet one”, Ruben is the “sweet one”, and Aran is the “dad”. Yeah, it’s 2019. It’s pretty problematic that Gita is objectifying these people right in the headline. Gita: We should not be objectified people! Also, Gita: OMG, look how cute those boys are! You know calling someone cute isn't objectification, right? See, this is the thing. It's not about the intention of what is said any more. It's about how the other person takes it. How they feel about it. So, yeah, calling someone cute is not objectification to you or me, but to some else, it could be, and that is where I find the hypocrisy is. It's when left-leaning people say something, but then continue to do something that could be seen the same as what they don't like. One of the differences between objectification and admiration is objectification appreciates physical attributes in isolation while admiration appreciates them as part of a whole that includes personality, skill and other qualities. I have no doubt there are people out there that conflate the two, but I don't remember Gita ever doing it, so implying she's being hypocritical seems unfounded, particularly when you combine it with the 'virtue signalling' pejorative. The problem is, Gita has, in the past, said things that bring her in line with that kind of thinking. Or at least, that's the way I read it. No, Jag. The problem is that Gita said something is cute and you decided to be super precious about it. Gita's committed no sins here.